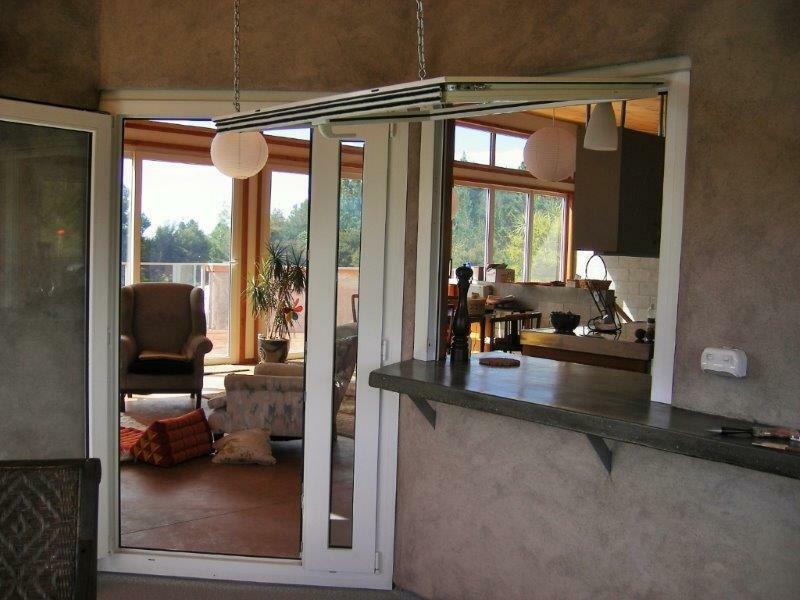 French doors and hinged doors can open inwards or outwards. 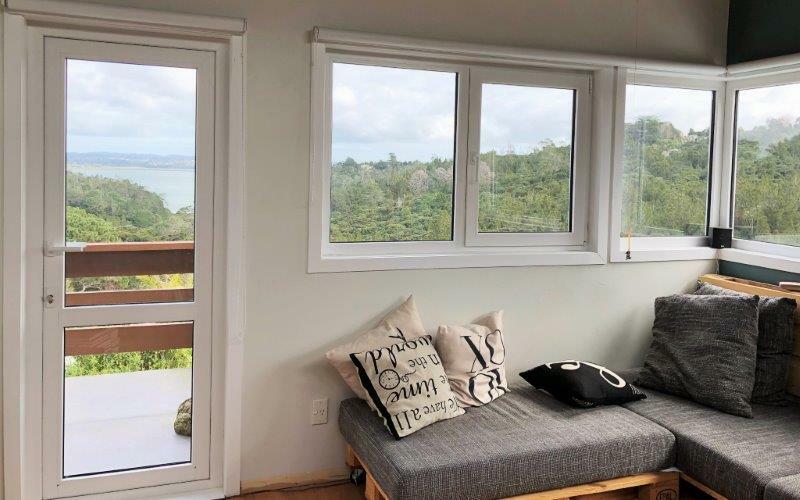 If the door flanges are outside of cladding such as weatherboards outward opening French doors and hinged doors can open a full 180 degrees, allowing for easy indoor and outdoor flow. 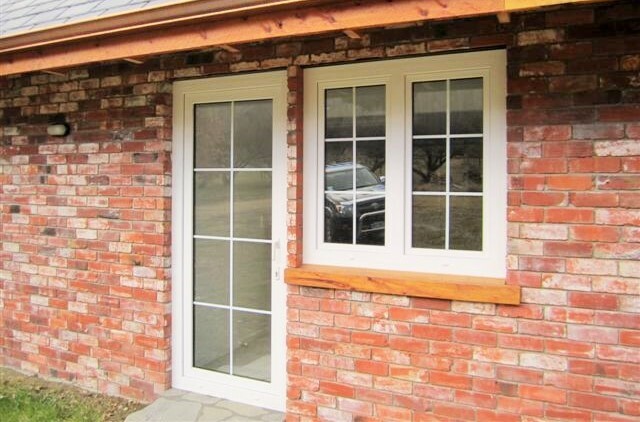 French doors and hinged doors can not open 180 degrees on a brick veneer or concrete block house. 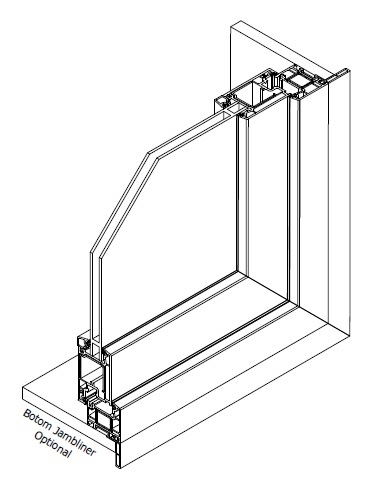 PVC-U door frame profiles are quite big. We would recommend making the door a little bigger to get a good clear opening. 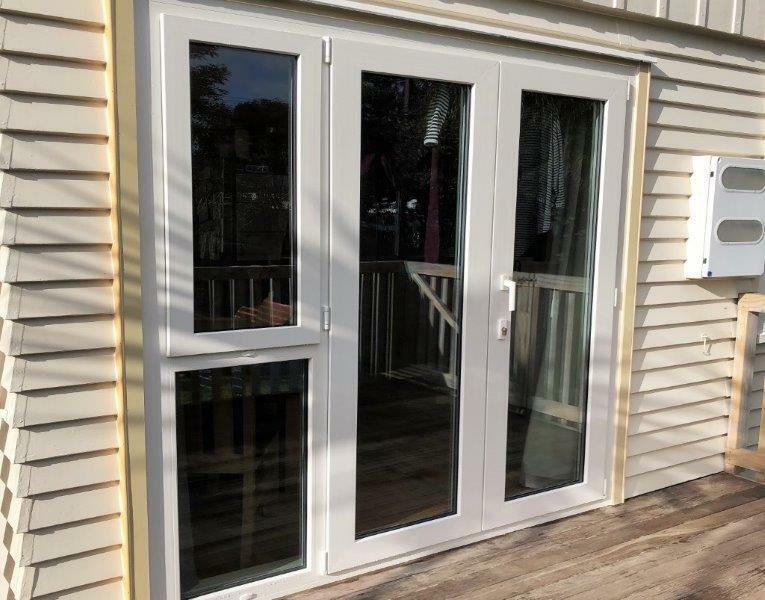 Homerit PVC-U French doors and hinged doors are fitted with multi-point locking mechanisms made in Germany – the best available in today’s market. 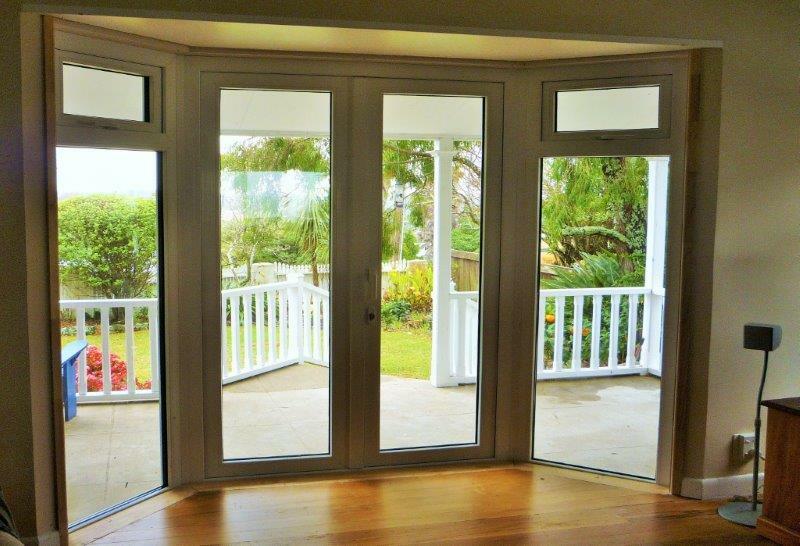 French doors can have two panels, one wider than the other as shown in the photo. French doors are normally designed so that the left panel (viewed from the outside) opens first. You may choose to have the right panel open first as shown in the photo. 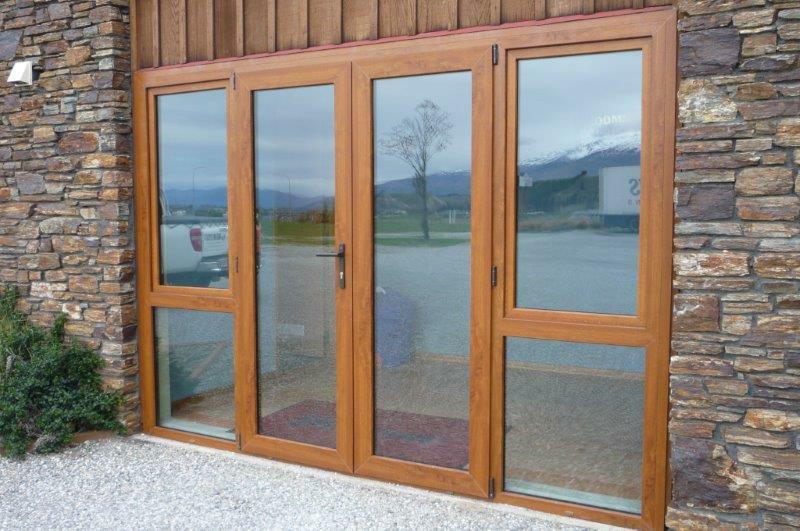 A fixed panel or opening window can be joined to the side of French doors or hinged doors. However the door may not be able to open a full 180 degrees if there is an outward opening window beside it even when the window is closed. Fully compliant with technical specifications set forth in European standards, EN12608. 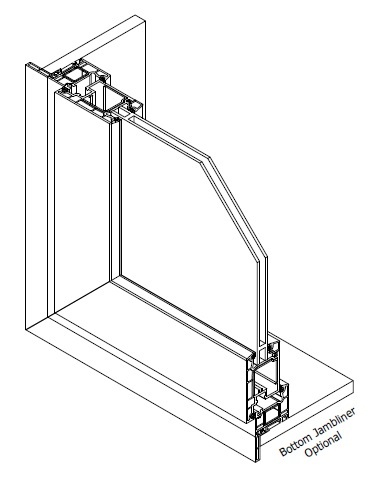 Galvanised steel reinforcement imparts optimum stability to the window system. Compliant with Clause B1 and Clause E2 of NZBC for an Extra High wind zone.